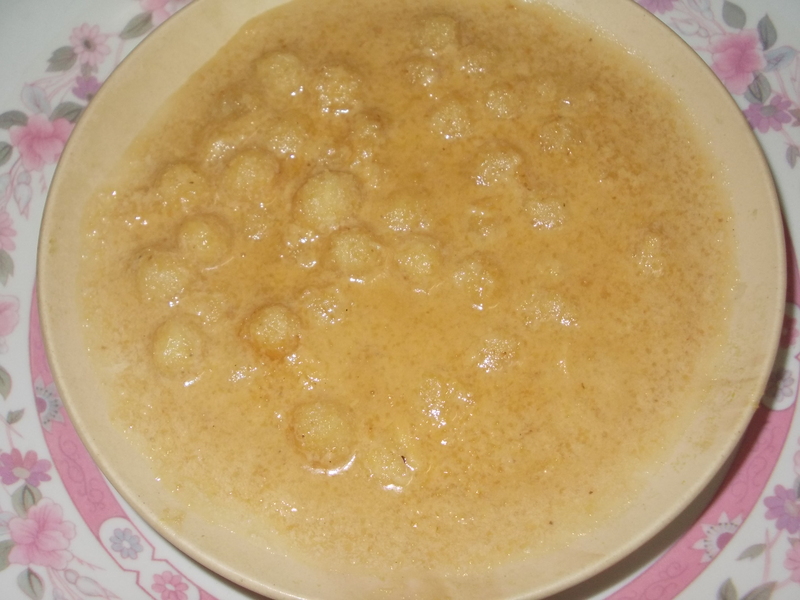 Coconut Moti Payesh is a very delicious & easy to make. It was originated in Bengal & generally made in Bengali traditional occasion named Poush Parban. Boil milk in low heat for 25 minutes. Add 100 gm of sugar & keep aside. Heat a pan & add ghee. Add semolina & stir till it becomes light golden brown. Keep aside. Add coconut, 50 gm semolina & rest of the sugar in a pan. Stir well till it dries. Remove from heat & make small balls (moti) out of the mixture. Add rest of the semolina in milk & stir continuously. Add moti balls & cook for 1 minute.